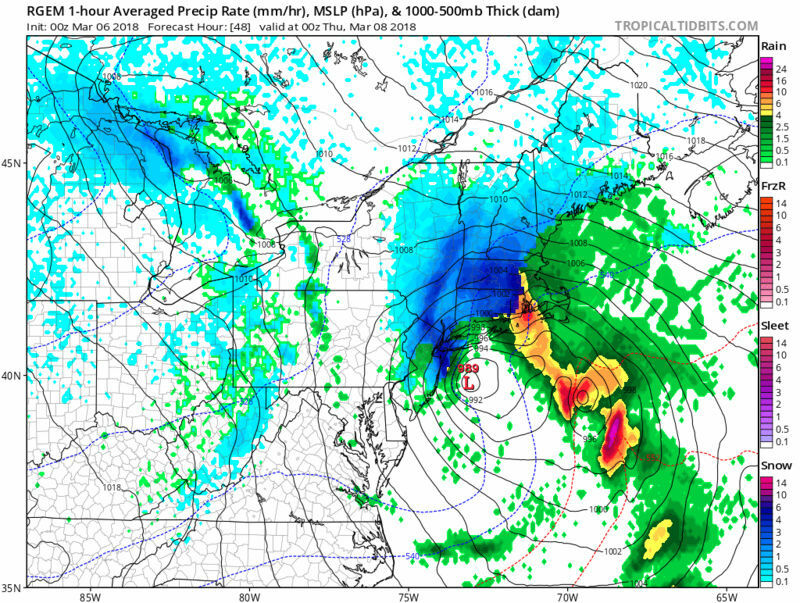 Rgem at 7PM Wednesday. It's still snowing in most places. 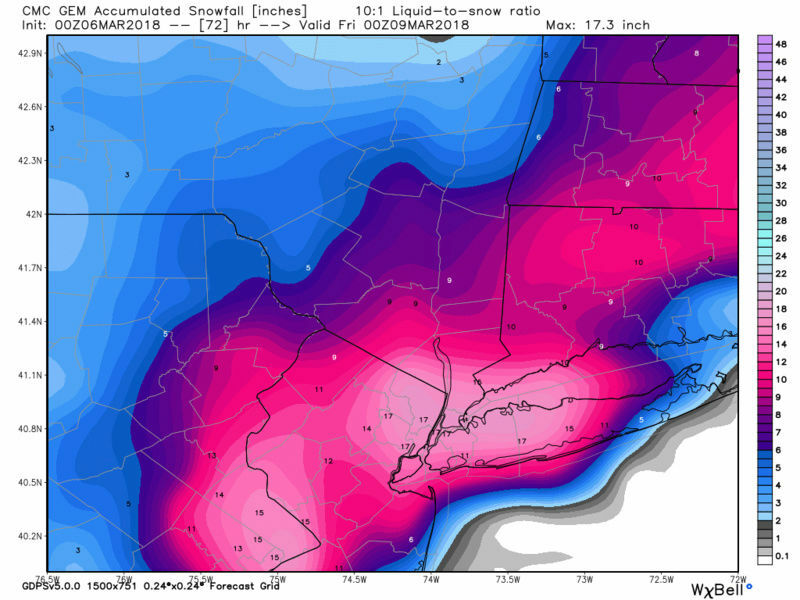 0z gfs with snow starting before midnight. You know the game Jake, sometimes it's a blessing and sometimes it's a curse. I wouldn't count yourself out yet but definitely a risky area for this one. 0z gfs keeps low tucked in tight to coast. at 10 am rain up the coast and into LI by 1 pm. Everywhere NYC west getting hammered with snow by mid afternoon. 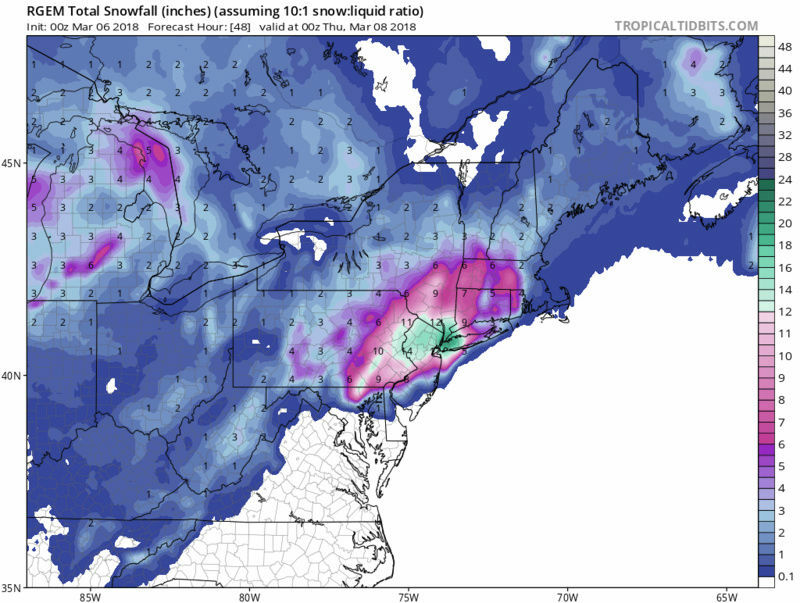 GFS coming on board! I expect we will be seeing frank up his map tomorrow, just a guess. GFS still sees significant mixing issues for Jersey shore and all but far western LI, but prodigious snow everywhere west of there. jmanley32 wrote: GFS coming on board! I expect we will be seeing frank up his map tomorrow, just a guess. That GFS has some hatred of Long Isalnd. We should banish the GFS from this board! 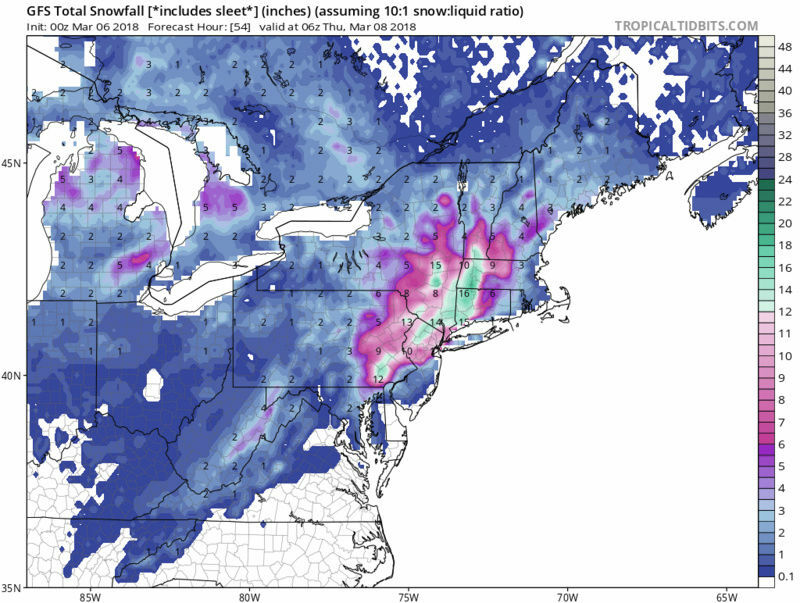 The 00z snow map was far better than the 18z was it not? Well toss it then, I dont care bout anything but the SR now anyways as we are 24 hrs away. It has been persistent in keeping rain all along the shore and points east on LI. I think it might be onto something. That’s why I hedged and melded it into my snow map. Not buying it 100%, but not writing it off. Just remember: If this low goes even slightly west of where it's projected to go, then the rain time would increase. Soul we are both in line with NWS concern of heavy wet snow, prior weakening of trees and 20-30mph winds with gusts to 40mph, I think could see gusts even a bit higher. CMC NYC for the win!! Not according to the snow map, its a lot less but not nothing I still see 10 inches. Biut GFS is crap.